The event will take place on Union Road, which will be closed to traffic from Main Street to Center Road, and on the grass in front of and adjacent to Town Hall. Delicious food and amazing vehicles will be featured at the fourth annual Taste of West Seneca and West Seneca PBA Car Show slated from noon to 5 p.m. Sunday, Sept. 2. The event takes place on Union Road, which will be closed to traffic from Main Street to Center Road, and on the grass in front of and adjacent to Town Hall. And if food and cars aren’t enough to bring you out, this year’s event will also include live music by the Boys of Summer from 12 to 4 p.m., sponsored by the West Seneca Civic & Patriotic Committee and the West Seneca Lions Club. Approximately 350 vehicles are expected to participate in the PBA Car Show, while more than a dozen local eateries will be on hand to provide a “taste” of some of their most popular culinary delights. Taste tickets are priced at $1 each and will be available for purchase at West Seneca Chamber of Commerce booths located along Union Road. Food vendors expected to participate include Cater Tots, Dave’s Kitchen, Delta Sonic, Ebenezer Ale House, Eileen’s Centerview Bakery, Great Lakes Pizza Company, House of Munch, Just Pizza, Olive Branch Family Restaurant, One Pie Pizza Co., Paula’s Donuts, Red’s Char-grilled Dogs, Rusty Nickel Brewing Co., Schwabl’s, Stampone Fresh Squeezed Lemonade and Ultima Taco. Event sponsors include Delta Sonic, Financial Trust Federal Credit Union, Rusty Nickel Brewing Co., Seneca Health Care Center, Shell Fab Countertops & Casework, Sunbelt Rentals and the Western New York Federal Credit Union. Several non-food vendors and nonprofit organizations will also host community tables during the event, so stop by for helpful information and other surprises! The following businesses and organizations are expected to participate: AAA – Insurance, Al-Ross, Delta Sonic, Harvey D. Morin VFW Post 2940, Hunt Real Estate, Maralynn Johnson Massage Therapy, Northwest Bank, Schunke Insurance, West Seneca CERT, West Seneca Kiwanis, West Seneca Lions Club and West Seneca Rotary Club. For more information, please contact the West Seneca Chamber of Commerce at 674-4900 or visit www.westseneca.org. 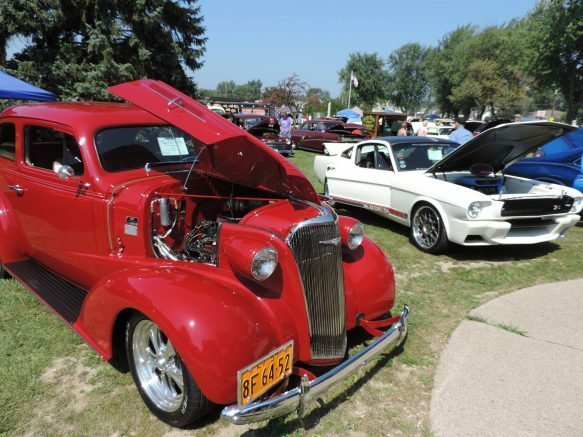 Be the first to comment on "Taste of West Seneca and PBA Car Show slated for September 2"